September 4-8, Nathalie Stutzmann will be member of the jury of the 4th Evgeny Svetlanov International Conducting Competition taking place at Paris Auditorium de Radio-France, with the Orchestre philharmonique de Radio-France. She will reunite on this occasion with her legendary conducting teacher Jorma Panula, also in the jury, alongside Alexander Vedernikov, Andrey Boreyko, Mauro Bucarelli, Gidon Kremer and Cristina Rocca. 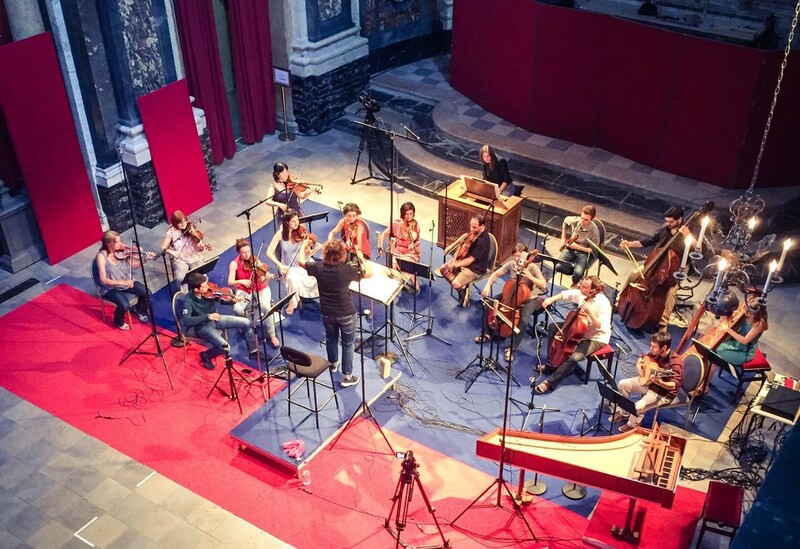 Each round of the competition will be live broadcast by France Musique and medici.tv, and the final round open to the public. Winners of past competitions include Domingo Hindoyan and Robert Trevino. Nathalie Stutzmann opens her first season as Chief Conductor of the Kristiansand Symphony Orchestra in Norway this week. “Lucky Kristiansand Symphony Orchestra to get Nathalie Stutzmann as Chief Conductor” stated Maren Orstavik of the daily Aftenposten following Nathalie’s concert with the Oslo Philharmonic in November 2017. For her first appearance on August 30, Nathalie has chosen a programme starting with Wagner’s Tannhäuser Overture, followed by Tchaikovsky’s Violin Concerto with Norwegian violinist Henning Kraggerud. The evening closes with Brahms’ Second Symphony. Nathalie’s 2018/19 inaugural season with KSO features a wide range of orchestral works by Beethoven, Wagner, Strauss, Brahms, Dvorak, as well as pieces by Ravel and Bizet. See the full programme of Nathalie’s performances with KSO at the link. See the full press review of Mefistofele at this link. Today, Nathalie Stutzmann has been announced as new Chief Conductor of the Kristiansand Symphony Orchestra, one of Norway’s foremost orchestras with roots back to 1919, from the beginning of the 2018/2019 season for an initial contract of three years. Nathalie conducted Kristiansand Symphony Orchestra for the first time in March 2017 in Strauss’ Tod und Verklarung and Schumann’s Symphony No. 3. For her first appearance as Principal Guest Conductor of RTÉ National Symphony Orchestra of Ireland on September 29, Nathalie Stutzmann has chosen a programme consisting of Brahms’ Violin Concerto featuring Veronica Eberle as soloist, Beethoven’s Symphony No.1 and Prokofiev’s Classical Symphony. The performance will be live broadcast from Dublin National Concert Hall on RTÉ Lyric FM at 7.30pm. If Beethoven symphonies will be the focus of Nathalie’s inaugural season with the RTÉ NSO, concerts will be programmed around works by Brahms, Strauss, Rachmaninov, Elgar… and more. For further information, please see the orchestra’s 2017/2018 brochure. On the heels of her “impressive conducting debut with the London Philharmonic Orchestra” (Seen and Heard International), Nathalie Stutzmann travels to the Netherlands to make her debut with the acclaimed Rotterdam Philharmonic Orchestra in three concerts April 12, 13 and 14 at de Doelen. She will lead Bach’s masterpiece St Matthew Passion with a lineup of soloists including soprano Martina Jankova, mezzo-soprano Aude Extrémo, tenors Samuel Boden and Jeremy Ovenden, bass-baritones Vincent Le Texier and Leon Kosavic, and the choirs of Laurens Collegium Rotterdam and Jongenskoor Koorschool St. Bavo Haarlem. The performance of April 13 will receive a live radio broadcast from Dutch classical radio station NPO Radio 4 at 7.30pm, tune in! Nathalie Stutzmann heads to the United Kingdom to make her conducting debut with the prestigious London Philharmonic Orchestra this March 25. She’ll open her programme with Strauss’ Death and Transfiguration before being joined by Kateryna Kasper, Sara Mingardo, Robin Tritschler, Leon Kosavic and the London Philharmonic Choir for Mozart’s Requiem. In anticipation of her LPO debut, Nathalie will appear on BBC Radio 3’s “Music Matters” programme on March 25 at 12:15pm (London time). This month, Nathalie Stutzmann makes her anticipated return to Monte-Carlo Opera, where she leads four performances of Richard Wagner’s Tannhäuser at the head of Monte-Carlo Philharmonic Orchestra. Nathalie debuted with the orchestra in 2014, making “a master stroke” (Forum Opéra) conducting Donizetti’s L’Elisir d’amore. Staged by Monte-Carlo Opera director Jean-Louis Grinda, this thrilling production is totally new and unseen since 1861 as it features the Tannhäuser rewritten for Paris Opera by Wagner himself – including the French texts – and?only executed three times in history, in Paris for its creation in 1861. Performances take place at the stunning Salle Garnier on February 19, 22, 25 and 28, with an international cast including acclaimed Argentinian tenor José Cura in the title role, Jean-François Lapointe as Wolfram, Steven Humes as Hermann, William Joyner as Walther, Roger Joakim as Biterolf, Annemarie Kremer as Elisabeth and Aude Extrémo as Venus. Please note these are all now sold-out. Today, Nathalie Stutzmann has been announced as new Principal Guest Conductor of RTÉ National Symphony Orchestra of Ireland based in Dublin. She will take up this position in September 2017. Read the full press release from RTÉ National Symphony Orchestra here. The announcement coincides with Nathalie’s second engagement with the orchestra for a performance on January 13 in a Beethoven and Brahms programme, which will be broadcast live on RTÉ lyric fm at 8pm local time. Nathalie Stutzmann will make her conducting debut with the Philadelphia Orchestra this Sunday in Handel’s Messiah. She will be joined by an international cast, featuring soprano Ying Fang, mezzo-soprano Angela Brower, tenor Lawrence Wiliford and baritone Stephen Powell. Described as “the performance’s star” conducting Handel’s oratorio with Washington’s National Symphony Orchestra at the Kennedy Center last year, Nathalie had received critical acclaim for her “musically thrilling and absolutely to be recommended” performance. Please note this event is sold-out. More information here. From the press: The Huffington Post and The Philadelphia Inquirer write about Nathalie’s Philadelphia Orchestra debut. 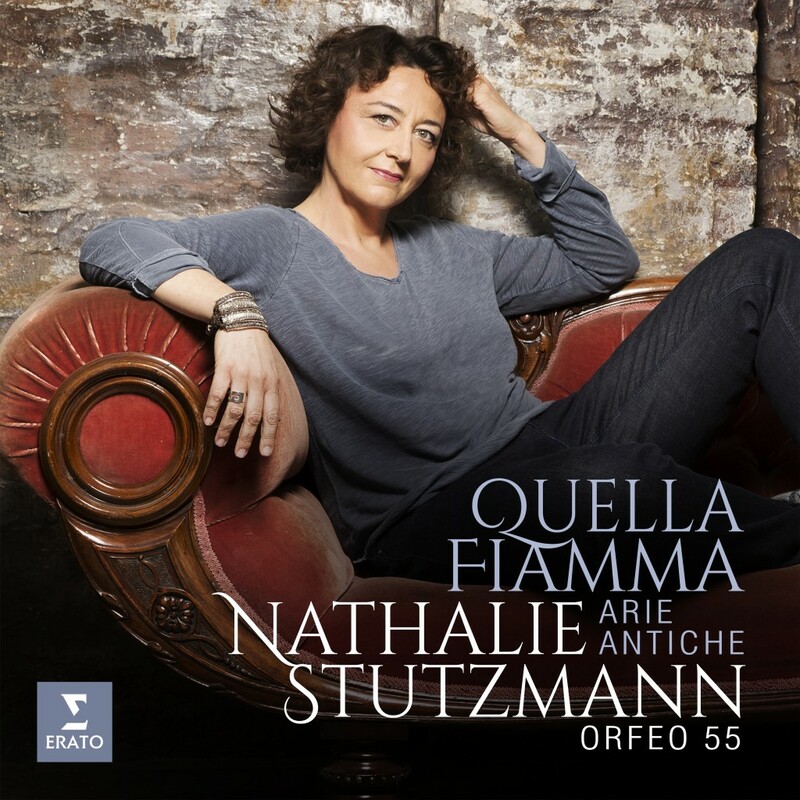 Nathalie Stutzmann is currently recording in Lyon her fourth album with Orfeo 55! To be released under Warner/Erato in the autumn 2017.